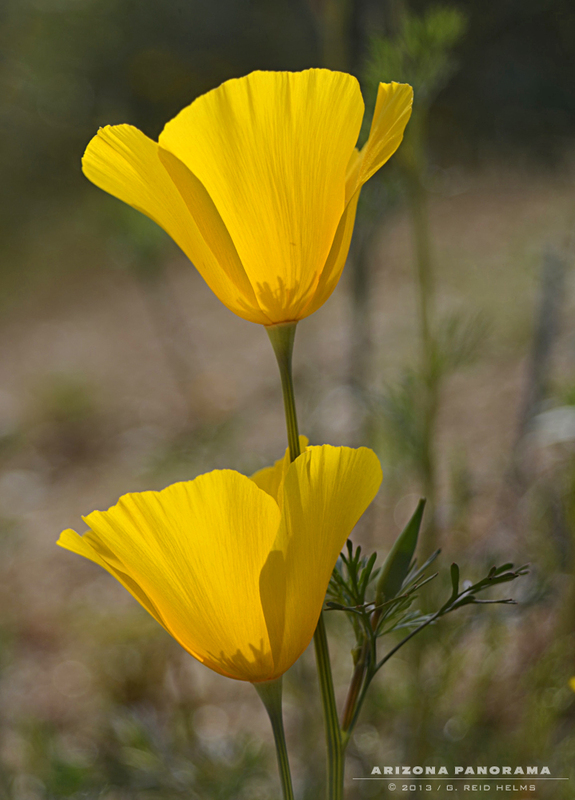 Bartlett Lake, north and east of Phoenix, is usually a good bet for wildflowers in the Spring. Some years are better than others and this was a good year. Yellow poppy, lupine, bluebells, brittlebush, popcorn flower and a variety of other plants were all blooming. Overnight, I camped below the dam and woke to very few clouds. I tried to make the best of it. A dense area on the slope was a short hike off the road. Soon, I was in the thick of it. I was mindful of critters, namely snakes, but didn't see or hear any. I had recently heard a biologist say that noisy rattlers had been selected out and you might not get that warning anymore. Unfortunately, a rattling snake draws attention to it's self and is more likely to be dispatched... by man. 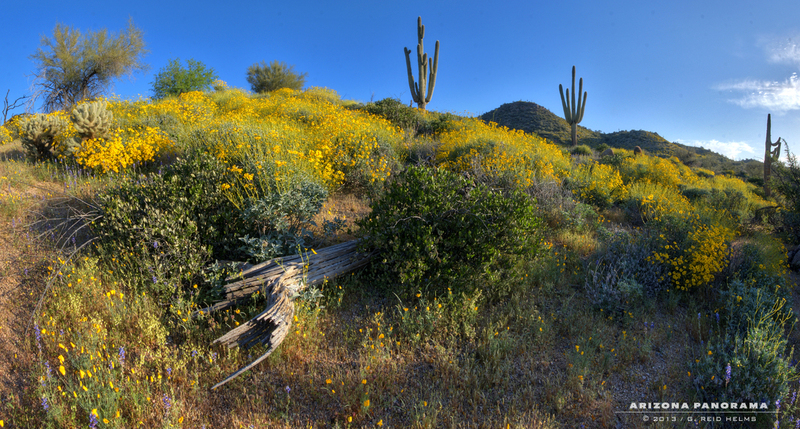 The brittlebush bloom wasn't quite at it's peak, but still very beautiful. I had almost given up in this area when I walked back up the slope again for one more look before stumbling on this decaying saguaro. It was the perfect compliment to the composition. I drove back on Saturday morning before sunrise. Overcast skies provided more mood and the super soft light normally reserved for a portrait studio softbox. The sun was barely visible in the gray soup. 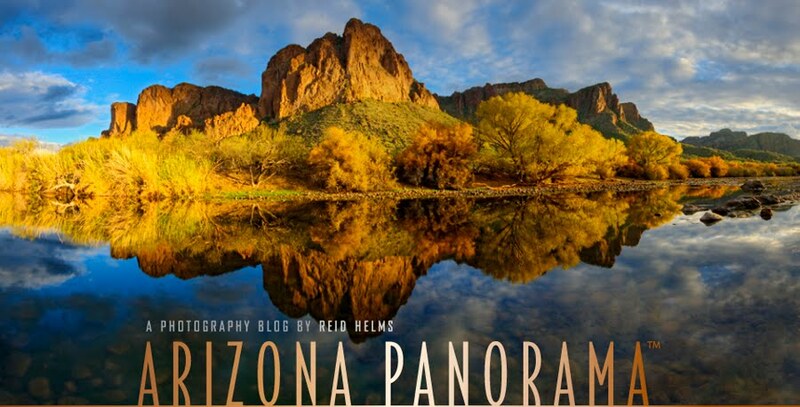 HDR processing helped add back some texture the naked eye couldn't see. Another photographer had been working this area the day before. I could tell it was a special place and wanted to shoot it. A short, but steep hike provided a great elevated vantage point above the lake. The wildflowers were as dense and varied as any spot I'd seen around the lake. 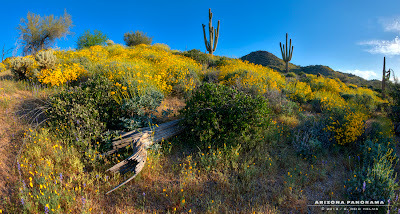 Flowers of all sizes, shapes and colors covered the desert floor. Each had it's own space and created the illusion that there was order in the chaos. The poppies were in full force. Thick fields of them could be found mostly on southeastern slopes where they had some protection. 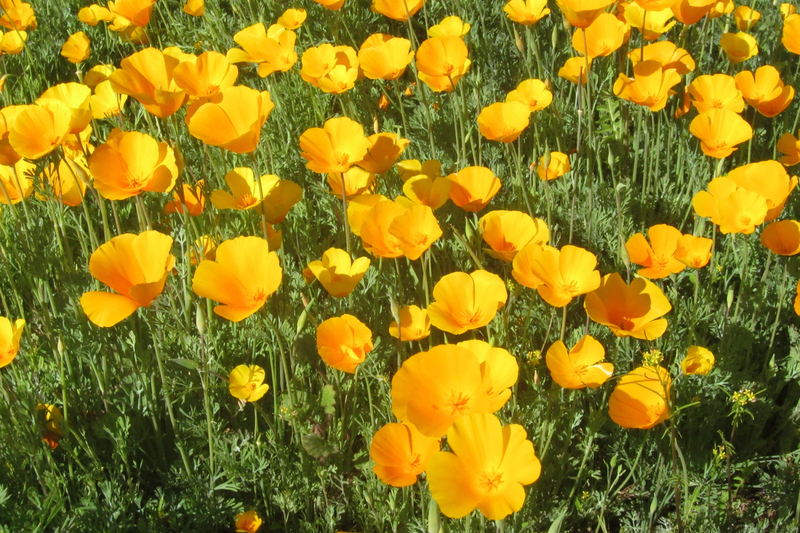 Nothing is more cheerful than the poppies and a sure sign Spring is here. 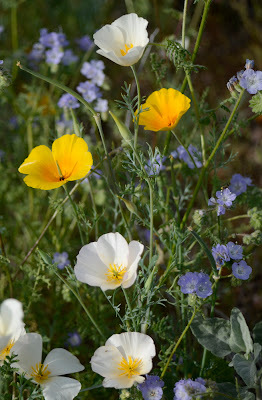 The white variety of poppy is more rare around Bartlett. This is one of the few places I've actually seen them. And for all you poppy addicts, here's some from a front yard in my neighborhood.